We can help you achieve a whiter healthier looking smile. Have you ever wondered how some people have such beautiful white and healthy looking teeth? Chances are they have whitened their teeth. 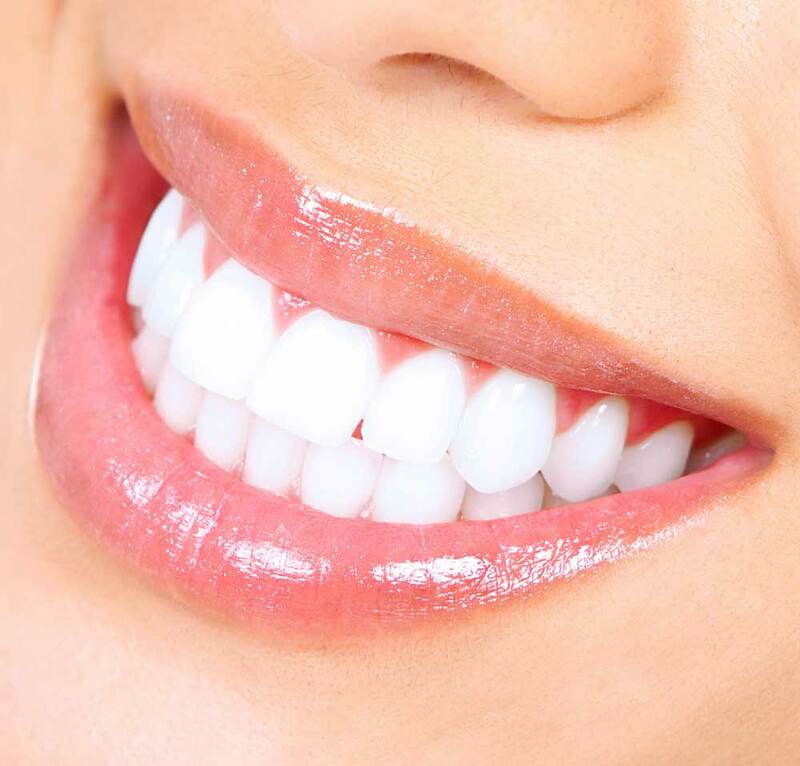 One of the most popular cosmetic dentistry procedures is teeth whitening. It is a simple and conservative way to improve your smile. It is also one of the more economical cosmetic procedures. At Dr. Joe N.T. Nguyen dentistry we offer 3 ways to whiten teeth. We have an in-office procedure which takes an hour and half or two at home whitening products. Get the smile you want and show off those pearly whites. Achieve 4 to 8 shades whiter in one visit. Easy to do in the convenience of your own home. The in-office whitening procedure is done with either our Zoom! In-office Teeth Whitening system or our GLO in-office Whitening system. Both procedures will provide a boost in your whitening and can achieve 4 to 8 shades of improvement. It involves carefully covering all the tissues surfaces with a protective barrier leaving only the tooth structure exposed. The whitening gel is then placed onto the teeth and a special light is then exposed onto the teeth for a few minutes. This will accelerate the whitening process. It is repeated 3 to 4 times in one session to get maximum results. After an in- office whitening procedure, we recommend that you refrain from consuming dark foods and drinks such as coffee or wine for at least a day. The other effective whitening procedure is at home whitening. People are very familiar with the store bought whitening strips. These can be effective for minor shade changes but the more powerful whitening products can only be obtained from your dentist. We offer custom tray delivered gel from Zoom! At home whitening. 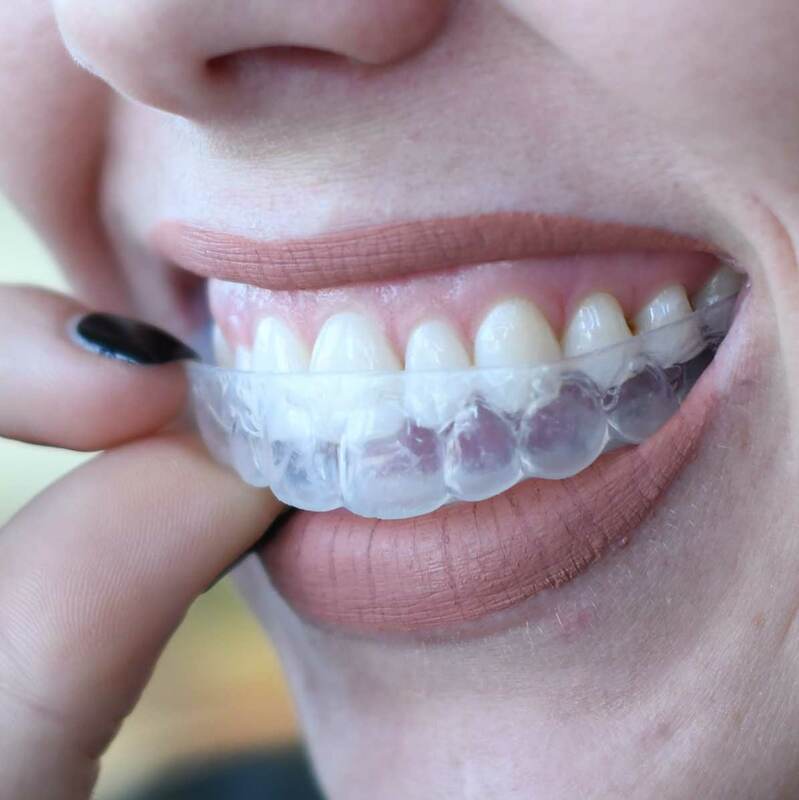 Impressions are taken of your teeth so that custom fit whitening trays can be made. You simply fill the trays with whitening gel and wear it for 30 minutes each day for 2 weeks. We also offer GLO at home whitening. This procedure involves painting a whitening gel onto your teeth and then wearing a battery powered lighted mouthpiece. You wear it for 8 minutes at a time and can do it 4 times in a row. Ask your Poway Dentist if teeth whitening can work for you? Will my teeth become sensitive after in-office whitening? There is some sensitivity after a bleaching procedure but it will usually resolve within a day or two. Sometimes an Advil or Tylenol is enough to relieve the discomfort. Most people will have to do an at home touchup once or twice a year to maintain their shade. Each touchup takes up to 30 minutes of wearing the whitening product. Teeth whitening has been around for over 25 years and has been studied at many Universities to show no damage will occur. It is the most conservative dental treatment available. Will it whiten my crowns or fillings? Teeth whitening will only whiten natural tooth structure. If you have multiple filling or crowns exposed when you smile then the only way to whiten those are to replace them with whiter restorations.